Ohio banks that don’t use ChexSystems can help the approximately 7.2 percent Ohio households that are unbanked. It’s estimated that Ohioans pay between $65 million and $168 million in financial fees for not having a bank. Most people may take for granted the luxury of having a bank account. But for the unbanked, not having a bank account means no access to free checking and reasonable interest rates. The costs of using alternative financial services like prepaid debit cards, check cashing stores, money orders, title or pawn shops and even payday loans adds up over a lifetime. In fact, a study found that check cashing fees alone could cost a person $40,000 over a lifetime. That’s money that could be earning interest in a high-yield savings account. Get back into banking in Ohio at a non-ChexSystems bank. A negative ChexSystems record can remain 5 years unless you successfully dispute ChexSystems to get it deleted. For consumers with an EWS record, it can last for 7 years unless you’re able to successfully dispute EWS. There are many Ohio banks that don’t use ChexSystems that will give you a second chance account. First Central National Bank only requires ID to approve checking accounts. They offer a variety of checking accounts including regular checking, student and senior checking. First Financial Bank offers the CLEANslate Checking account to five you a fresh start. The account requires a $50 opening fee. The monthly fee is $10. Customers enjoy a debit card along with free ATM access and you even get a free gift when you open at a banking center. Equitable Savings and Loan requires a credit check to qualify for a savings account or certificate of deposit. You may be denied if you have recent entries on your credit report regarding slow payments, repossessions, collections, lawsuits from creditors, defaults, or foreclosures. 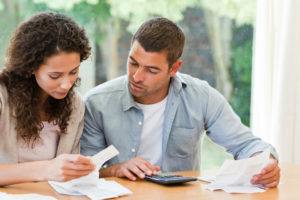 If you have a bankruptcy in your past, you might need to provide an explanation of the circumstances in order to get approved. First Federal Savings uses Telecheck to verify and approve checking account applications. The Basic Checking comes with online and mobile banking, a debit card, billpay, and e-statements. There is a $7 monthly fee that can be waived if you maintain a $100 minimum balance and sign up for at least one direct deposit. Sharefax Credit Union only requires proper ID to qualify for a checking account. The Basic Checking option comes with no monthly fee, no service charge for checks, and no minimum balance. You also get 100 free checks each year. City National Bank offers a second chance checking account called “Bounce Back Checking.” The Bounce Back Checking account does not require a minimum balance, but you will have to pay a monthly service fee. If you sign up for direct deposit, the fee is $6.99 each month, otherwise, you’ll pay $8.99. Another perk with this account is that you get two non-sufficient funds waived. Perpetual Savings Bank requires proper ID to open a checking account. They offer the NOW Checking, which requires a $100 minimum balance. The second account is SUPER NOW Checking, which offers two tiers of interest depending on the size of your minimum balance. Liberty Savings Bank’s second chance account is called Clean Slate Checking. To qualify you can’t have more than three reports in your ChexSystems record. Clean Slate Checking allows you to improve your financial standing and start on the path to a solid financial future. Buckeye State Credit Union offers second chance checking. You’ll enjoy a free debit card, online banking, no minimum balance required, and up to $1,000 for overdraft protection. A checking account management course is required to open the account. A $40 deposit is required to open the account. Sun Federal Credit Union offers a Fresh Start Checking account. The monthly fee for this account is $10. After a year, you can upgrade to the free Regular Checking account if you maintain a positive balance, have no more than NSF fees in 12 months and complete the Check Right program. Covington Savings and Loan only requires a proper ID to qualify you for an account. They offer two accounts, Basic Checking and Now Checking. Both have minimum balances required if you want to avoid a monthly fee. Vacationland Federal Credit Union requires only proper ID to open new accounts. They offer the Regular Checking account that includes unlimited check writing in addition to a free debit card. Open the account with a $25 deposit. First Federal Bank of Ohio only requires a photo ID. The Thrifty Checking account offers you mobile banking and a debit card. The monthly fee is $2.50 but can be waived if you keep at least $150 in your account. Universal One Credit Union’s offers a second chance option called “Find Stability Checking account.” There’s a $15 monthly fee but you get a free Visa debit card and check abilities. Cardinal Credit Union offers a Second Chance Checking account with no minimum balance and a monthly fee of just $8.95. You must sign up for direct deposit. There are no checks with this account although you will get a debit card. 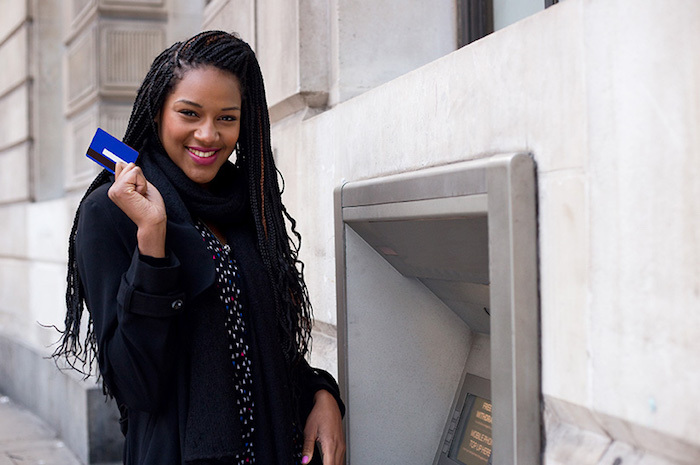 After a successful 12-month period, you can apply for a traditional checking account. Members Trust Federal Credit Union offers a second chance at checking with a TRUST and Alternative account. They have options for most everyone – even if you have been turned down before for a checking account. You can get a second chance at Members Trust FCU with our TRUST and Alternative checking accounts but you’ll have to contact their Member Service Department directly to find out if you qualify. Superior Federal Credit Union offers a Fresh Start Checking account. You get a debit card but no checks, courtesy pay, or ATM deposits with this account. Despite these restrictions, the monthly fee is a low $5 and there’s no minimum balance that you’re required to maintain. 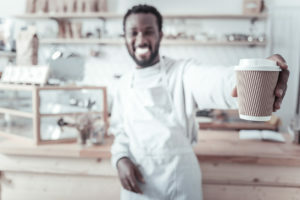 With locations in Antwerp, Payne, and Harlan, Antwerp Exchange Bank only requires a valid photo ID to open a checking account. Most individuals will qualify for the New Advantage Checking account. The minimum amount to open is quite steep at $100, but there’s no monthly fee. 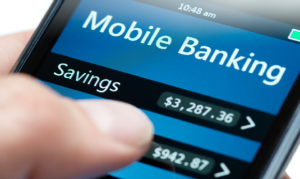 Online and mobile banking is included with all accounts. Greenville National Bank uses a credit report to determine eligibility for a checking account. If you get approved, you can opt for their Free Checking, which doesn’t have a monthly fee. There is a $50 minimum deposit to open the account. The Farmers State Bank pulls a TransUnion credit to verify new customers. If you qualify, you can sign up for the FSB Direct Account, which doesn’t come with any monthly maintenance fee. Features include online banking and bill pay, e-statements, plus free access to thousands of ATMs in the Jeanie Network. Dayton Fire Fighters Federal Credit Union requires a TransUnion credit report to be pulled. There are multiple free Kasasa checking accounts to choose from, most of which allow you to earn rewards based on your purchases. All accounts come with online services, including bill pay, mobile app, and remote deposit capture. Progressive Bank pulls a credit report to open a checking account. There are multiple account options to choose from, with the most basic being Free Checking. There’s no monthly maintenance fee or minimum balance required. $100 deposit is required to open a checking account. Ohio University Credit Union requires a credit score of 620 or higher. There’s a Free Checking option with no monthly fee and no minimum account balance. You can sign up with either a $25 opening deposit or by enrolling with direct deposit. Firelands Federal Credit Union offers a second chance checking account that can be open with a $25 deposit. The monthly fee is $5 but can be waived with direct deposit sign-up. The account comes with unlimited check writing, free digital banking, and a free Visa debit card. IH Credit Union will pulls a credit report to verify new customers. It requires $25 to open a checking account and can choose from either Free Kasasa Cash or Free Kasasa Cash Back. Neither account has a monthly service fee and you can earn rewards without a minimum balance. Corporate America Family Federal Credit Union offers Fresh Start Checking for those who have an imperfect checking past. It requires a $100 balance to be kept in your share account to qualify, plus there’s a $10 monthly fee. To join Corporate America Family Federal Credit Union, you need to be employed by a sponsor company. Alternatively, you can be related to an existing member, live within 25 miles of a CAFFCU branch, or become a member of the Hope Group. There’s a branch in Marion, Ohio, plus you can access free ATMs and co-op shared branches throughout the state. GenFed Financial Credit Union offers the Clean Start Checking Account. To be eligible, you can’t have more than three records in ChexSystems and your outstanding balances must be under $500. Also, you can’t have any outstanding items that are less than one year old. The monthly fee is $5. If you successfully manage your account for a year, you can upgrade to GenFed’s Free Checking or Dividend Checking account. Republic Bank offers the Checking Builder account as a second chance option. 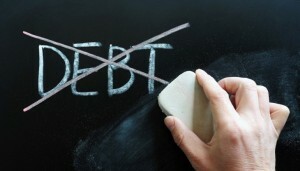 To qualify, you need documentation showing satisfied debts from ChexSystems. There’s no minimum balance with the account, plus you get unlimited debit card transactions, check writing, and bill pay. The monthly fee is $12.95 but is reduced to $7.95 if you either sign up for direct deposit or use your debit card for at least 20 point-of-sale transactions each month. Eaton Family Credit Union offers a second chance checking account that comes with a $10 monthly service fee. To qualify, you can’t have any charge-offs or unpaid collections to a financial institution on your credit report. You also can’t have any TeleCheck records that are less than three months old or any unpaid balances that are over $500. Hopewell offers a second chance checking called Rebound Checking. The monthly fee is $8 and you don’t get access to overdraft protection. But after successful account management you can upgrade to a regular checking account. KEMBA Financial Credit Union offers a Fresh Start Checking account. You get unlimited check writing plus a debit card, and there’s no minimum balance. The monthly fee is $10.95, but you can get that lowered to $8.95 if you have at least $500 in direct deposits scheduled each month. The fresh start checking can be upgraded after 12 consecutive months of no insufficient funds notices, OR 6 months of no insufficient funds notices plus completion of a money management course online. Cortland Bank offers a Second Chance Checking account even if you’ve been turned down for checking accounts elsewhere. There’s a $6 monthly fee, but that includes paper statements and ATM access. LorMet Community Federal Credit Union offers a Second Chance Checking account. There is a one-time setup fee of $25, plus an additional $50 to open the account. The monthly fee is $9.95. To qualify, your records in ChexSystems must be older than six months and you can only have one open record of no more than $500. Fraud cannot be suspected. 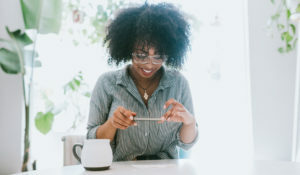 Columbus Metro Credit Union offers a second chance account called “Metro Merit Checking.” There is a monthly fee of $10 but you do get unlimited check writing and withdrawals included, along with a free MasterCard debit card. The account requires $25 to open. There are three overdraft protection options with the Metro Merit Checking account, plus you get to take advantage of online and mobile banking. Miami University and Community Federal Credit Union offers a Second Chance Checking account. There’s no monthly fee and you get a free debit card along with ATM access and a free box of checks. After 30 days, you can even qualify for overdraft protection.